You may want to set the maximum file size for some settings. One such setting is the attachment file. The setting will set the max size for all attachment files, up to a 128MB maximum. Setting the maximum file size in PrestaShop 1.5 is easily done by performing the following instructions. Log into your PrestaShop 1.5 admin dashboard. 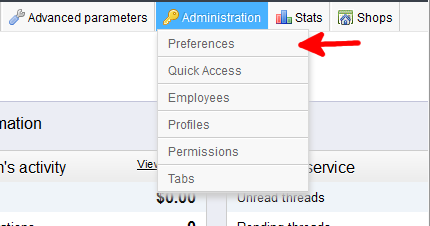 Using the top menu bar, hover over the Administration tab and select the Preferences option. You are now on the Administration : Preferences screen. 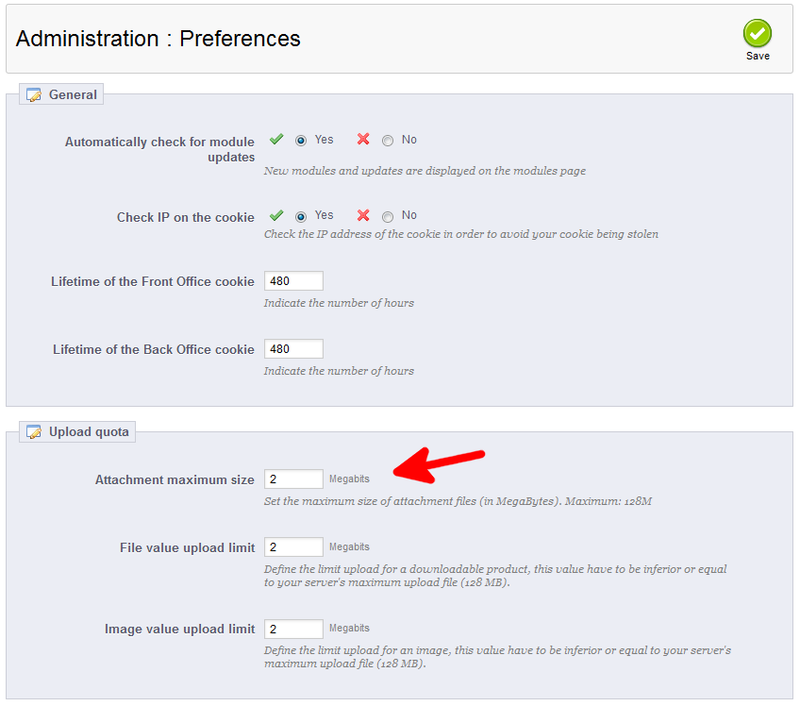 In the second section, named Upload Quota, you will see the field named Attachment maximum size. Set the max size you desire in the field in Megabytes. Once finished, click the green Save button in the upper right corner.